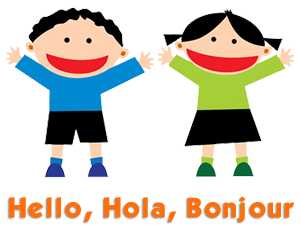 How many ways can you say “Hello”? Here is my “Hello” song from “Diamonds by the Sea”. Sing the echos. Hello … Lay ho ma… Nee how … Namaste …. Hello … Buon Giorno … Guten Tag … Aloha…! I’m so glad you’re here, I‘m so glad you’re here! Vocal Performance now available for purchase as a song download on my web site! Let’s welcome Spring and discover all the changes that are happening outdoors in Nature. 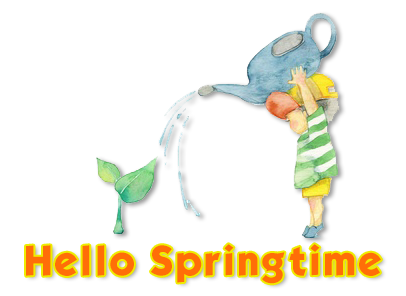 Hello, Springtime, how are you today? I’ll put on my rubber boots and we can have a time. Taking off my winter coat is always a delight! I hope that you had fun during March Spring Break. I went to Silver Star Mountain in Vernon, BC with my son, Thomas, my daughter-in-law, Danielle and my two grandsons, William (10) and Jakob (8). 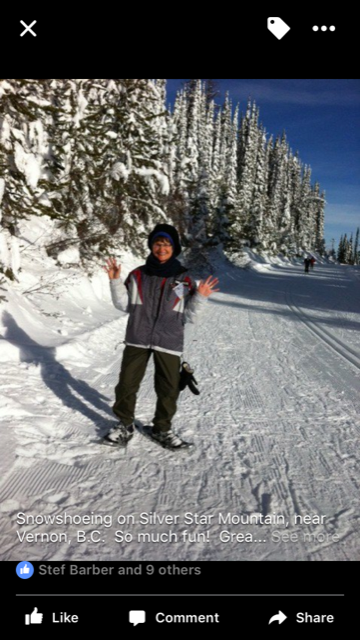 I went snowshoeing on the trails, while my family went skiing and snowboarding. The skies were blue and there was so much snow. 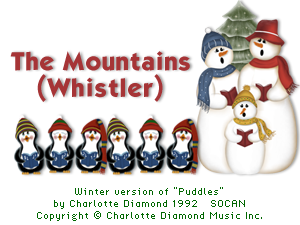 It reminded me of my song, “The Mountains”, which I wrote while skiing on Silver Star Mountain. Did you watch the Olympics and Paralympics this winter? How exciting to see the talented athletes from around the world. Canada did very well! I love watching the ice skating! I’m ready for, you’re ready for, we’re ready for… the Mountains! I’m ready for, you’re ready for, we’re ready for the Mountains! This song is available for purchase as an MP3 download on my website! What other song has the same tune? 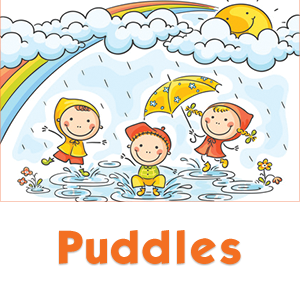 You are right, it’s “Puddles”! And I’m ready for, you’re ready for, we’re ready for the puddles. Vocal Performance available for purchase as a song download on my website. Springtime brings rainy days with lots of puddles to jump in. The rain makes our gardens, fields and forests grow. Let’s Celebrate Earth Day on April 22 – a special day that reminds us to protect our planet and do what we can to create a healthy environment for all animal and plant life. 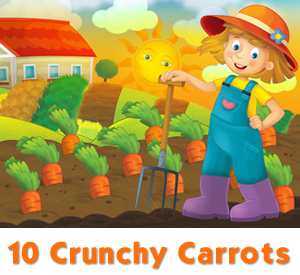 You can plant gardens of flowers and vegetables (10 Crunchy Carrots) around your home, at school and in your community. 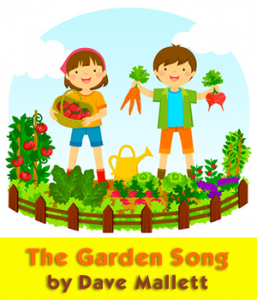 When I am planting seeds and pulling weeds, I like to sing this song. ‘Til the rains come tumbling down. Hear a clip at the link above! Enjoy walking, exploring and planting this spring. Whistle a tune or sing as you work, Let’s “Leave the World a Little Bit Better”.